It’s true. Twilight has been made into a graphic novel which was released today in Australia. The first book has been divided into two graphic novels to include all the details (because there’s so many). I was really tempted to check it out and buy it because I’m getting into graphic novels, but after seeing the cover I know I won’t like it. The only reason I’d get it would be for the art and the art isn’t my style. After checking out the pictures and cover I’m going to go immerse myself in some Heavy Metal magazines to cleanse myself (no offence to Twilighters, but I have very specific tastes with art)! Twilight fans now have an addition for their collection, with the first volume in the graphic novel adaptation of Stephanie Meyer’s books hitting Australian stores. The hardback graphic novel, with selected text from Twilight, will be published in two volumes in order to span the length of the original book, with a release date for the second volume still to be announced. 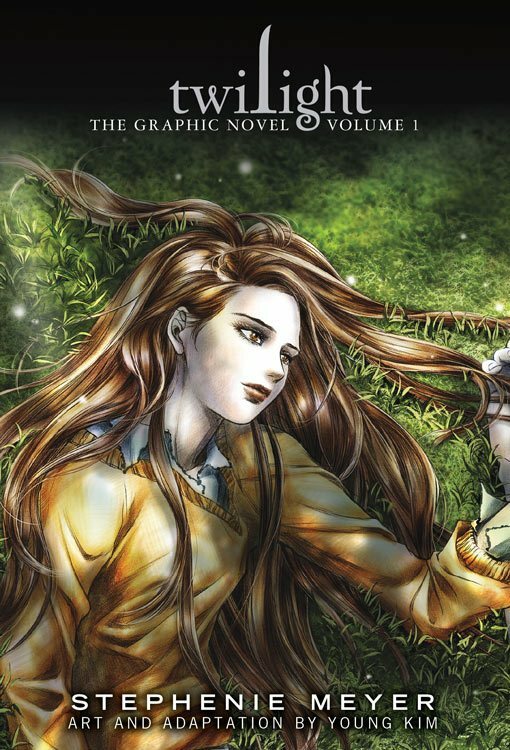 Meyer has played a key role in the production of the graphic novel, consulting with Korean artist Young Kim on every panel. The result is a beautiful rendition of one of the most successful publishing phenomenons in the world, with Kim’s black and white artwork highlighted by the strategic use of colour panels throughout the book in what the publishers describe as “a rare fusion of Asian and Western comic techniques”. Meyer has credited Kim with creating characters and settings very close to what she was imagining while writing the series. “I’ve enjoyed working on this new interpretation of Twilight,” she said in a statement released ahead of the novel’s publication. In the four years since her first novel was published the franchise has seen translation rights sold in almost 50 countries with 85 million copies of the books sold worldwide. Here in Australia sales figures have passed well beyond three million. There are four books in the saga, Twilight, New Moon, Eclipse and Breaking Dawn. The first two have already proven to be hugely popular movies and the third film will be released in cinemas on July 1. When New Moon opened in November 2009 it achieved the highest-grossing opening weekend in Australia with a box office of more than $16 million.